The independent Glashütte watch manufactory Moritz Grossmann has announced its strategy for a new sales concept under which it will present product launches and innovations live in front of press representatives and customers in four different cities in 2019. These launch of new products and innovations will be held in Dubai on January 30, Tokyo (March 7), Hong Kong (mid-May) and London (mid-June). 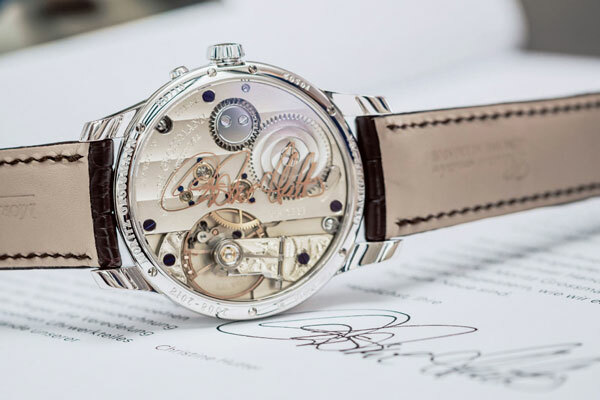 With this move, Grossmann Uhren GmbH officially announces that it will not be taking part in Baselworld 2019. Instead, the manufactory is responding to new market developments and investing more heavily in innovative sales channels, said a . The company sees great potential in the new concept in terms of intensifying direct communication with its customers on site and in a targeted manner. Grossmann Uhren plans to expand the roadshow in the coming years to other cities, said a top official. Christine Hutter, the founder and CEO, said: "As a manufacturer of high-quality watches in a niche market, we increasingly see it as enriching to enter into more direct contact with retailers and also end customers. This is best achieved through personal relationships in their locations." "This is why we are shifting our sales activities towards our customers and integrating our local partners more into communication. Our aim is to intensify individual, direct exchange on all levels," stated Hutter. On November 11, 2008, Hutter founded Grossmann Uhren using the great name of the co-founder of the Glashütte watch industry and initiator of the German watchmaking school in Glashütte, Moritz Grossmann. Thus the legacy of the highly respected watch pioneer was revived after around 130 years, said the statement from the company.